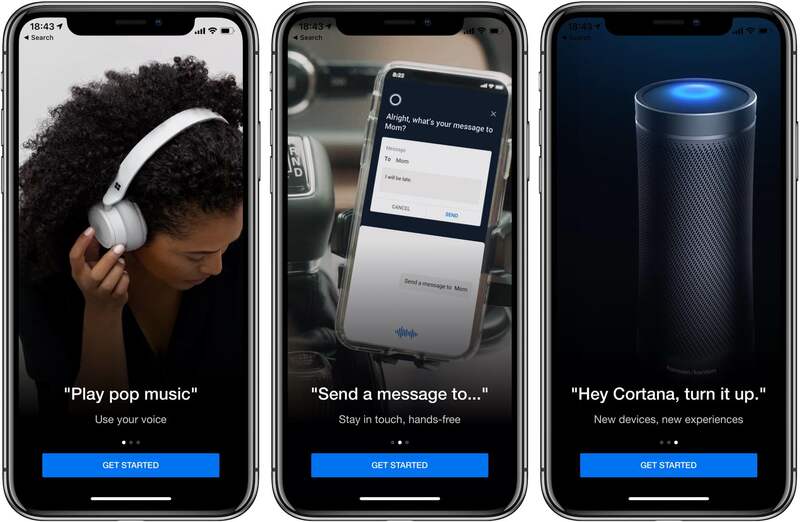 Cortana, Microsoft’s own personal digital assistant, has been overhauled on iPhone and iPad this morning with a sleek new design that includes a brand-new conversational experience for answers alongside new features such as support for podcasts and music-streaming services like Spotify, iHeartRadio and TuneIn. Cortana’s overhauled interface gets rid of the old blue theme and is now mostly white, which you may or may not like. Overall, the interface is cleaner and with less clutter than before. Navigation has been improved because Microsoft has removed lots of redundancies. 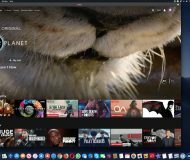 For example, you now have just three tabs—Discover, Upcoming and Devices. Discover provides a quick list of things you can ask Cortana. The Devices tab is where you manage your Cortana-connected hardware. The secondary tab, called Interests, is no more because you now see all relevant information tailored to your tastes via Google Now-like cards found under the new Upcoming cards. 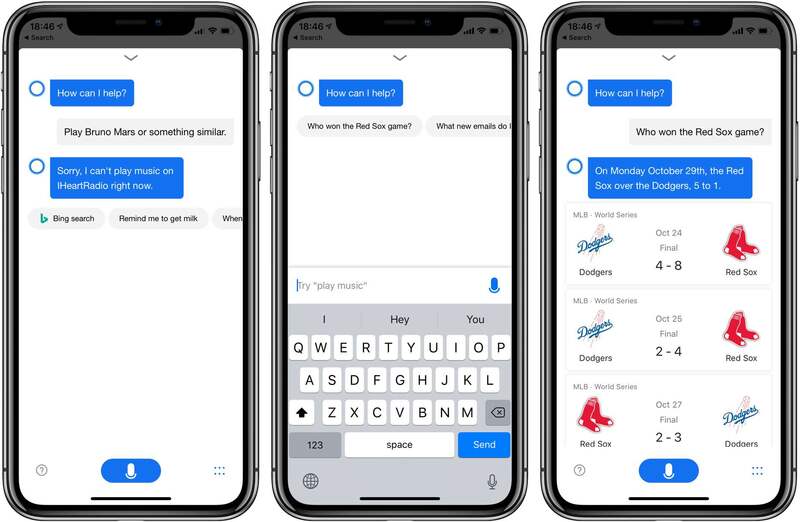 The new conversational experience for requests permits you to do everything with your voice in terms of settings reminders, creating calendar events and set timers. You could preciously ask Cortana to create a reminder, but had to enter details manually. 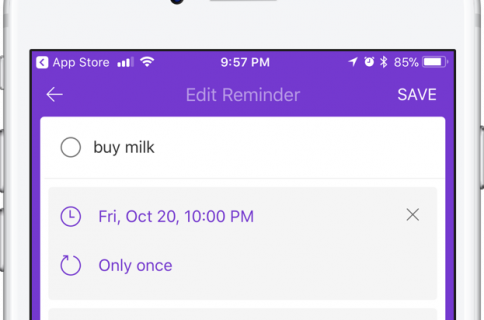 Cortana 3.0 is now smart enough to parse your spoken query and do the right thing—saying “set a reminder for 2pm tomorrow” will do just that without any further input on your part. Simply ask Cortana to play your favorite songs and podcasts with iHeartRadio, Spotify or TuneIn. You can even ask to play music through a paired Bluetooth device like a wireless speaker. If you’d like to join a Skype or Teams meeting by using your voice, you can do that, too. 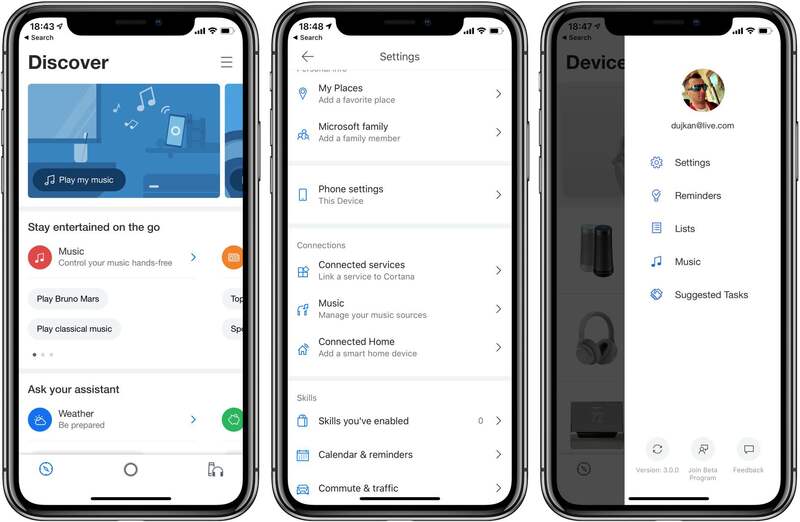 Lastly, the settings interface has been overhauled and there’s now a dedicated new place to manage and set up your Cortana devices right under the Devices tab. 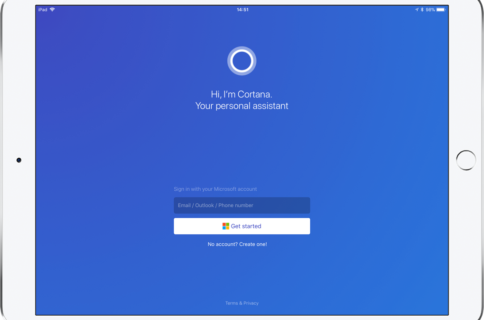 Cortana 3.0 is a free download from App Store.